Enjoy refreshing days of casting flies to wild trout in our remote wilderness setting. Fly fish in solitude from ranch access 24 miles north of Yellowstone Park in the Absaroka Beartooth Wilderness. Catch and release fly fishing is our rule in the river but you can catch fish in the pond to eat. You will find lots of Cutthroat, Rainbow and Brook trout to catch in a variety of riffles, pools, and water pockets behind boulders. You can walk or wade most of the Boulder River which has a relatively low gradient at our location. Felt bottomed boots are recommended for the slippery rocky river bottom. 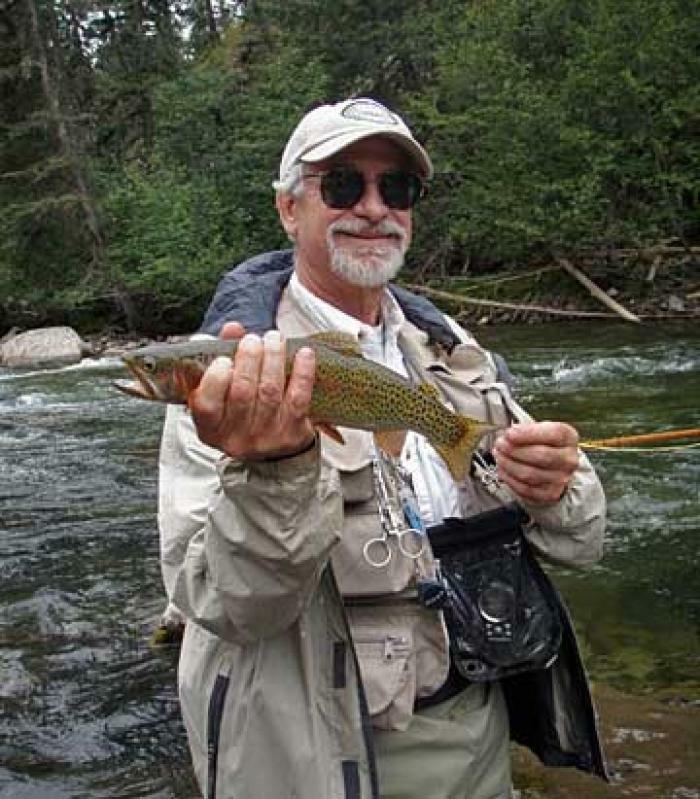 Learn about where fish have been caught and what flies to use from fly fishing reports that we have compiled from our guests’ experience. You are encouraged to add your own fly fishing experience to these reports. A supply of flies is available for sale that work in our area. 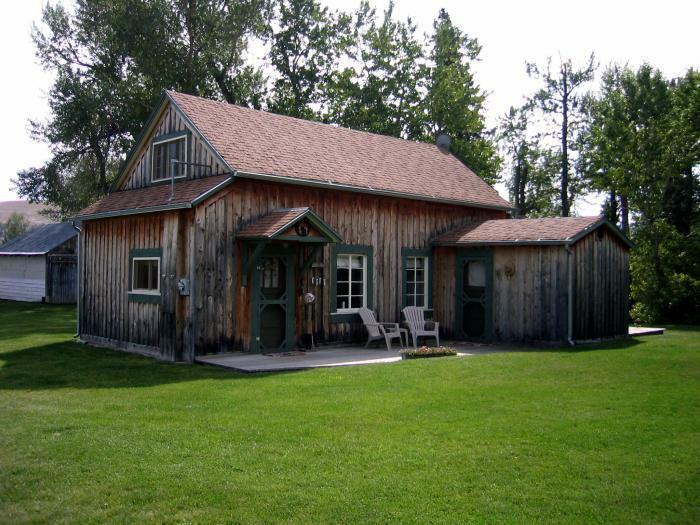 For the beginner fly fishing instruction is provided at the trout pond or get you started in the Boulder River. Fly fish in special wilderness locations, such as a mountain stream reached by horseback, or a glacier lake the end of the wilderness primitive road. Fishing in the fall is insurmountable. Lower river levels and the colorful mountain scenery make this a truly satisfying experience. This is a time that is often missed because of summer vacation schedules, but if it fits, we know this will be a memorable September for you. 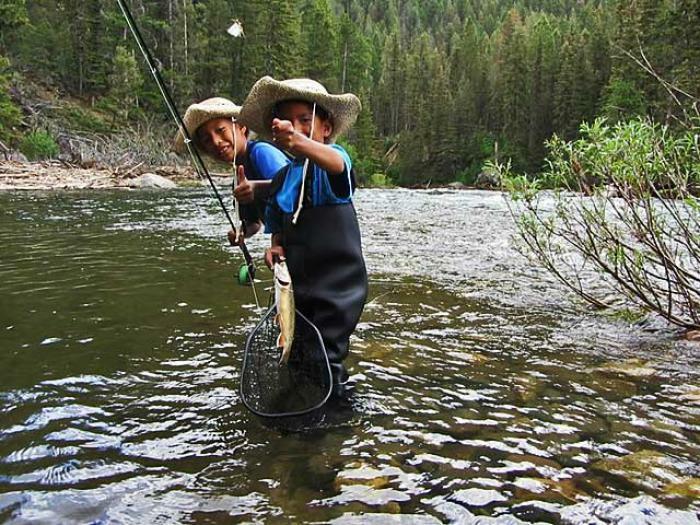 Besides fly fishing the river, you or others in your family can enjoy a variety of other outdoor activities. Call us at 877-496-7848 to arrange your fishing vacation or get more information. Fly fishing is best after mid July. The unbelievably robust wild trout population on the stretch of the Boulder River at the Hawley Mountain Guest Ranch in Montana is a shining example of how effective the policy of catch & release (“C&R”) can be. For over 35 years, the Ranch has enforced a strict policy of C&R on its stretch of the Boulder River. It is located deep in the Absarokas-Beartooth Wilderness Area of the Gallatin National Forest near McLeod, Montana about 22 miles north of Yellowstone National Park . This past August, I enjoyed some of the best dry-fly fishing that I’ve ever experienced. Although other fishermen were at the Ranch, crowding was not an issue as there are numerous good pools and riffles. The Ranch is currently owned by Montanans Ron and Phyllis Jarrett, and fellow Montanan Bryant Blewett and his California raised wife, Ellen Marshall. Although Native Americans occupied the area some 8,000 to 11,000 years ago, the Ranch traces its modern roots back to the late 1880's when Tom Hawley homesteaded about 160 acres along a 1 ½ mile stretch of the Boulder River. The Ranch and the large mountain it faces are named after him. Both couples believe passionately in C&R. As a result, their stretch of river teems with wild cutthroats, rainbows, cut-bows and brooks. Strict enforcement of C&R at the river is made easier by the well-stocked pond from which guests may keep (and eat for lunch or dinner) a fish or 2. Empirically, the wild fish counts at the river seem astronomically high. 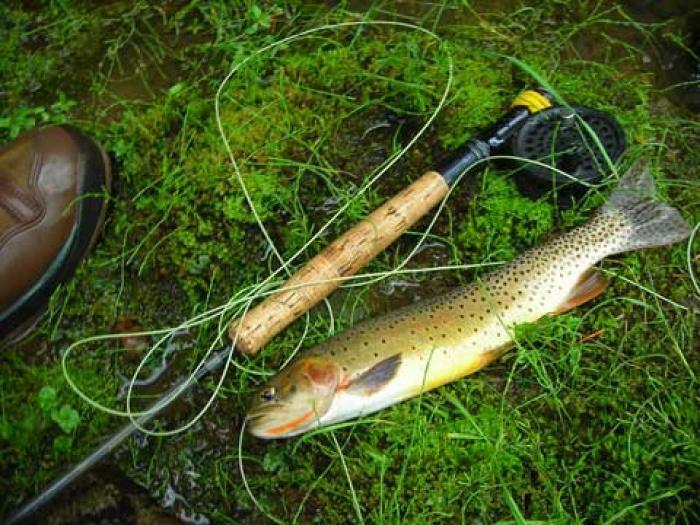 On a good day an experienced fly fishermen can catch from 50 to 100 trout. Even novices can boast 5 to 25 trout-days. The fish range in size from 6” to 20+” and, because the insect hatches are so prolific, the fish (even the big ones) will rise to dry flies all day. Rainbows in the pond are even bigger. 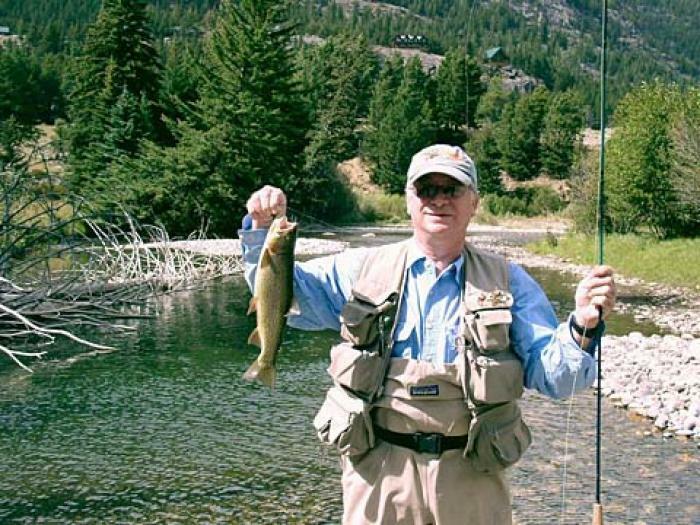 Dry-fly fishing at the Ranch is excellent from mid-July to mid-September. Fish will take your typical flies (caddis, humpies, hoppers, etc.) ranging in size from 10 to 18. You can purchase flies at the Ranch should you run short. 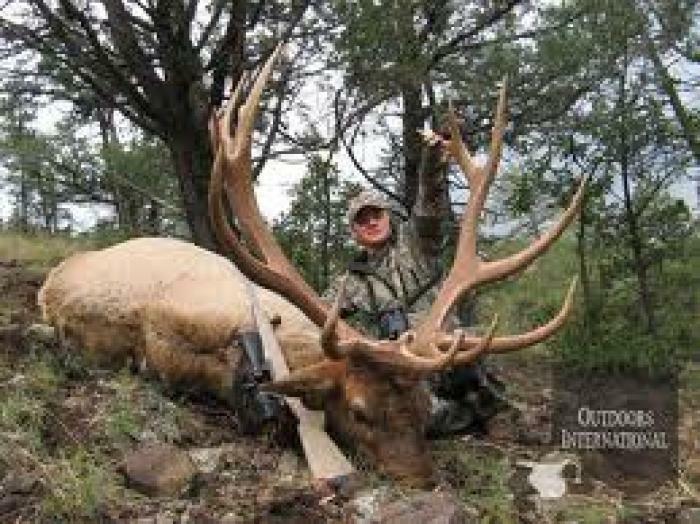 And, for those anglers who crave a truly remote Rocky Mountain experience, a day-trip on horseback to catch cutthroats in the high mountain-meadow streams of Meat Rack and a 4X4 day-trip to Monument Peak to catch Goldens in Blue Lake are available. 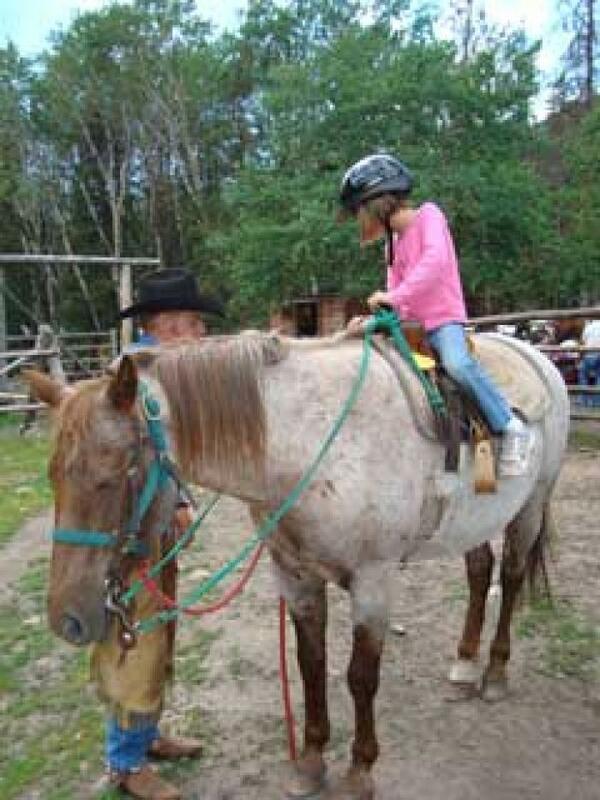 Last but not least, room & board (3 meals per day), fishing, horseback riding and excursions are all included at under $200 per person per day for a week’s stay and you will not need a fishing guide! "The View From Your Cabin" - you can see 1 of the guest cabins on the left; years ago a huge ava It's all there: from absolutely still, crystal clear water... If you're an avid fly-fisher and enjoy a rustic outdoor adventure, there's probably not a better vacation value to be found than Hawley Mountain Guest Ranch! Just look at the photos: as gorgeous as they are, they don't even begin to do justice to what you see! The accomodations are comfortable, although rustic: if you're looking for deluxe or 'resort-style' accomodations, this isn't it. But if you're able to enjoy completely getting out of your routine and roughing it a bit for a week, 3 great home-cooked meals a day, meeting new people from all over the world and some of the best fly-fishing you'll find anywhere, this is for you. I've gone there 6 years now and it never gets old!